From the long-awaited Star Wars: Episode VII - The Force Awakens! 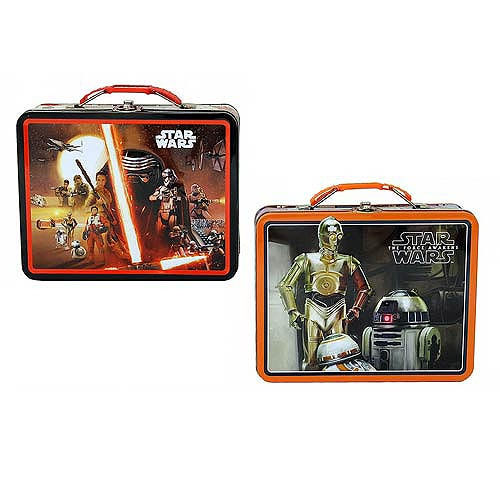 This Star Wars: Episode VII - The Force Awakens Large Carry All Tin Tote Lunch Box Set contains 2 individually packaged lunch boxes featuring imagery from The Force Awakens. There are two different designs! Breakdown not available at this time. Each tin lunch box measures approximately 6-inches tall by 7 1/2-inches wide. Ages 14 and up.